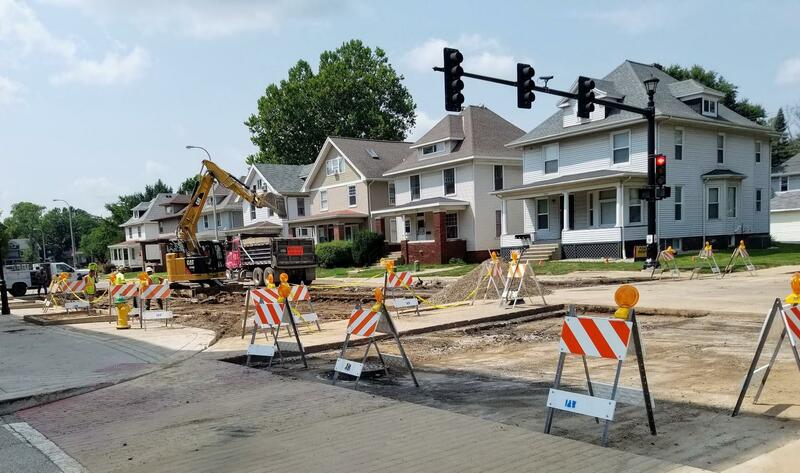 A good portion of road surface is still missing on Main Street in Peoria Friday, August 10, 2018 after the water main break Wednesday. Illinois American Water workers labor to get to the main break mid morning Wednesday. Part of the road was pushed up by the pressure of the water. But additional parts of the road had to be removed to repair the broken and damaged water main. 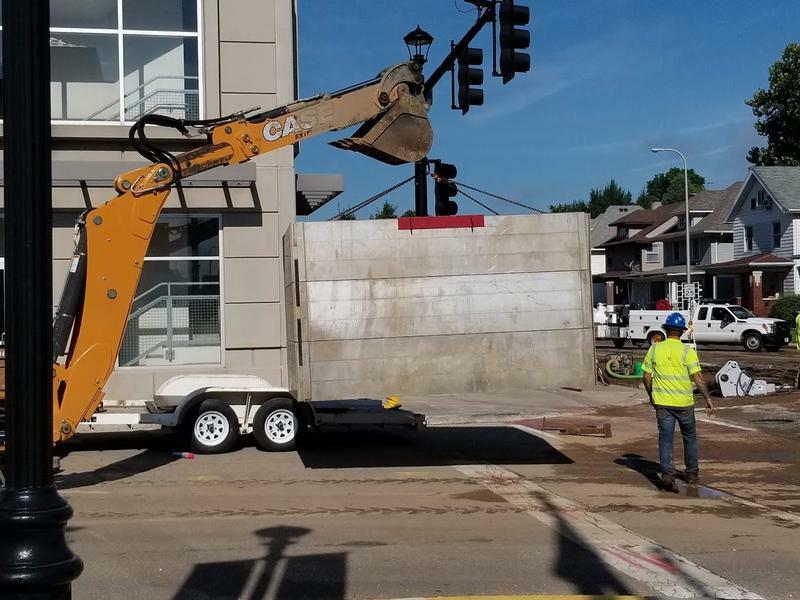 Heavy equipment operators and other members of the Illinois American Water Restoration Team work to get the repair made Wednesday on Main Street at Bradley University between Genwood Ave and Farmington Road. Another view of the gaping whole in the road surface that was necesary to repair a broken water main. The road will remain closed or partially closed until the road surface is completely restored maybe next week. Main Street in Peoria remains closed at Maplewood to N Cooper Avenue or Parkside Drive. A water main break early Wednesday meant a large portion of the road needed to be removed. 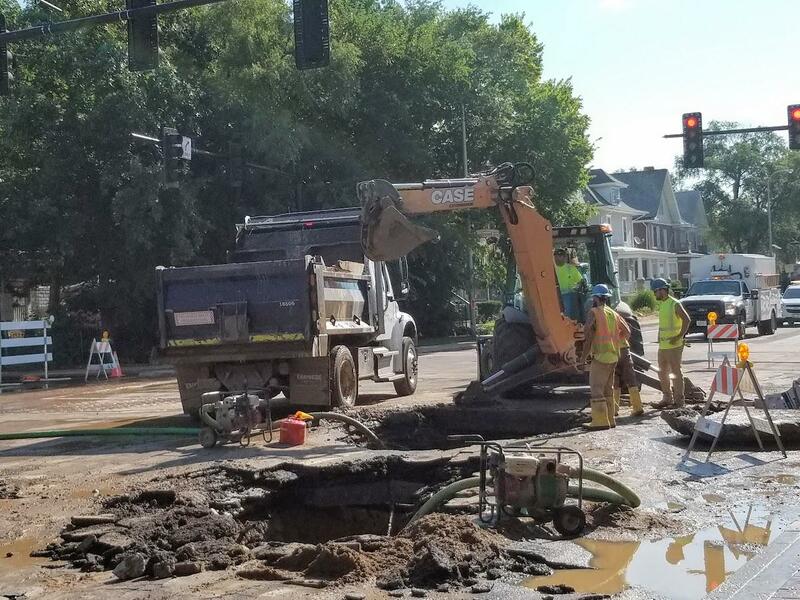 Illinois American Water crews replaced about 10 feet of water main. That work was completed about 12:30 p.m. Wednesday. Crews worked to reduce the scope of the road close by the weekend with the remainder of the road restoration anticipated by Tuesday. Access to the Bradley University Main Street Parking Deck is also shut off as a result of that main break and necessary road restoration.